For many people, examples of cops-turned-writers begin and end with Joe Wambaugh. There is no doubt the impact Wambaugh’s The New Centurions, The Blue Knight, and his non-fiction opus, The Onion Field, had not just on mystery fiction, but on literature in general—as have his many other novels. However, while Wambaugh is the star in the constellation, there have been a great number of cops-turned-writers both before and since Wambaugh’s star began to rise—including my own contributions to the genre. One of the most prolific and best is now sadly out of print and almost forgotten. In 1947, after serving in the RAF as a rear-gunner in Number Five Bomber Command, John Wainwright join the West Riding Constabulary in northern England (near Harrogate). His career as a police constable and a detective spanned twenty years and six murder inquiries. The first of his eighty crime novels was published in 1965. He retired from the police two years later to write full time. I’ve long been a fan of Wainwright, owning most of his novels and both of his autobiographies. Recently, I took down and read his last novel, The Life and Times of Christmas Calvert Assassin, published in 1995 shortly before his death. I was suddenly captivated by the immediacy of his writing and the humanity of his characters and realized anew how good a storyteller Wainwright was. 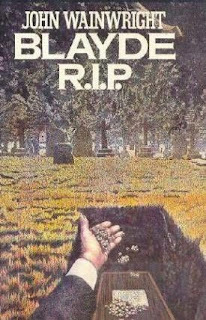 As soon as I finished, I went back and reread two of my favorite Wainwright novels, Blayde R.I.P and The Ride, and found they still had all the power and readability I remembered. In the sixties, the Mecca of aspiring British mystery writers was a tiny London office hidden away in the former palace of St. James. To get to it, you were forced to climb a steep, rickety, staircase before opening the door with a knob likely to remain in your hand. However, inside the unassuming walls, the editor of the Collins Crime Club, Lord Hardinge, oversaw the massively popular monthly publication of two yellow jacketed novels from the likes of mystery mainstays such as Agatha Christie, Julian Symons, Ngaio Marsh, Rex Stout, and occasionally the debut of a new talent. It was here Wainwright’s first novel, Death in a Sleeping City, found a home after literary agent John McLaughlin insisted Hardinge read it. Hardinge was entranced not just by the sheer storytelling power of the story (regarding a Mafia hitman sent to the English provinces to kill a traitor), but particularly by Wainwright’s ability to utilize his knowledge of real police and their methods. 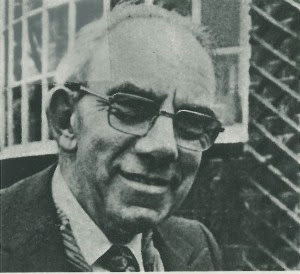 Wainwright had kept busy writing at night, often sleeping only four hours before returning to duty, and had almost finished a second novel, Death in a Sleeping City, before his first novel was published. Hardinge championed Wainwright for many years, eventually taking the author’s output with him from Collins to MacMillan because, as Hardinge stated about Wainwright’s novels, “…they all contain a strong ethical component, sincere, deeply felt and just as addictive." 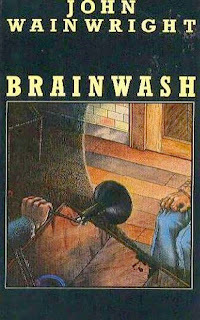 Joe Wambaugh classically turned the censure of his writing career by the LAPD into a cause célèbre, bringing incalculable publicity to the beginnings of his bestseller status. Like Wambaugh, Wainwright was also boycotted by his superiors in the police force. Already in difficulties for his refusal to let a County Councilor off on a dangerous driving charge, Wainwright was told he had to stop writing after his first novel appeared in bookstores. And write he did, averaging two thousand words a day, seven days a week, producing six books a year. Despite this amazing production, there was nothing cookie-cutter about his output. He wrote straight police procedurals, thrillers, espionage tales, man on the run stories, courtroom stories, and even pioneered a number of noirish tales with unreliable narrators, which are particularly fun. His agent, John McLaughlin stated, "Wainwright’s novels are always different. Every time I read a new one, I expect to be in for a predictable story, and invariably I'm wrong. I am constantly surprised by their freshness and imaginative power." Finding Wainwright’s books today takes a few keystrokes to navigate the Internet’s used bookstore sites, but they are well worth the effort for those looking for well written stories based in the reality of gritty, real life, procedures.